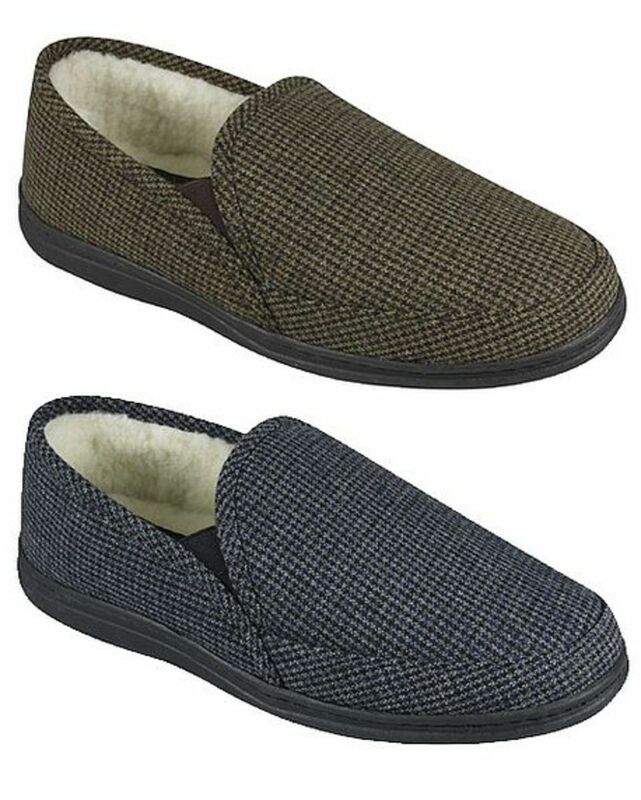 Comfortable men's slippers all with rubber soles. Fabric uppers. Brown, Grey.